A few months ago I was meeting with my new District Superintendent, talking about church planting, missional movements and ministry in the 21st century in general. Fatal Flaw #1: Sets tail on fire instead of rocket. 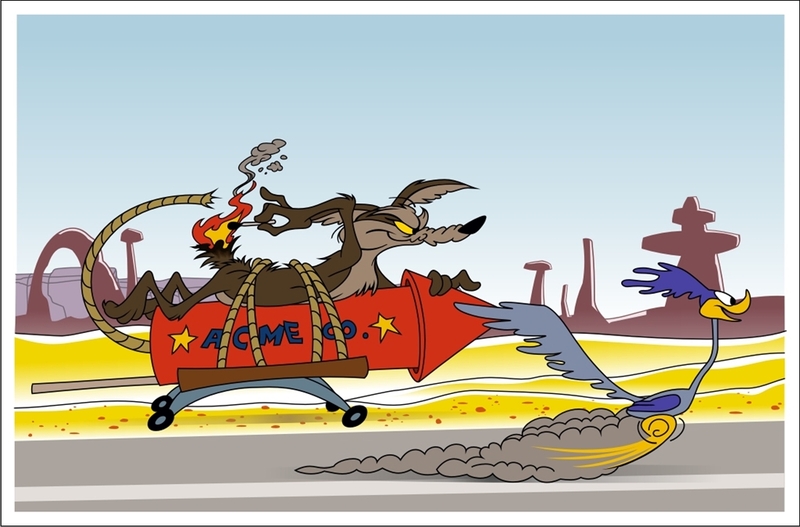 Every episode involved the coyote coming up with some elaborate, cleverly detailed scheme to catch the Road Runner. And every episode the Road Runner, without so much as a plan or a strategy, just ran right through the scheme. The humor in the show almost always centered around each plan’s fatal flaw. Even though the plan was brilliant and well thought through and cleverly executed, there was always one chink in its armor, one thing Wile E. did wrong, one humorous oversight that let the road runner slip away. In well over half the episodes, the flaw wasn’t a flaw. It was just the world not working like it is supposed to. 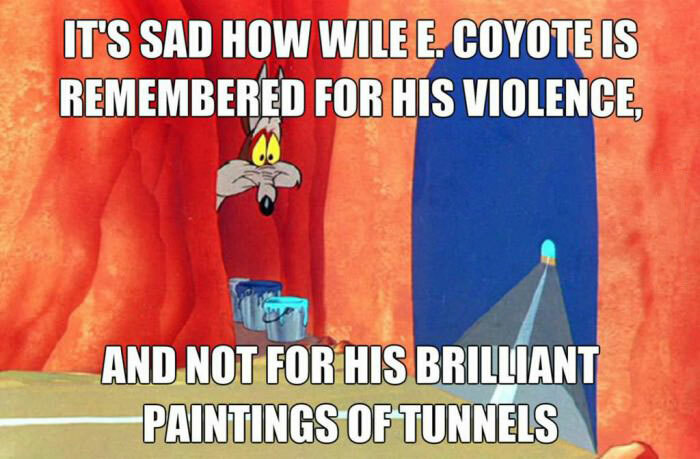 For example, there is the now classic scene where the coyote paints a mural of a tunnel on a cliff side, hoping the Road Runner will smash into the cliff. Instead, the Road Runner runs right through the mural into an actual tunnel. The lesson is simple: The world doesn’t work like the coyote wants it too. And we are the coyote. Our programs, or to put it more religiously, our “ministries,” are elaborate. They are schemed up by outreach committees in 3 hour long meetings. They are emailed to pastors with subjects that read, “the brilliant plan that will save our church.” While we pass the offering plates on Sunday morning, a passionate and dedicated layperson explains them to the congregations. We claim it worked out just great for that mega church in Seattle or that mushrooming church down the street. Our congregants get all excited and we all jump on board. But they all have one fatal flaw and that flaw makes all the time, money and energy we just spent worthless. Most of the time that flaw is we just failed to understand the world we are living in. Fatal Flaw #2: We don’t know when to stop. When that flaw manifests itself and our brilliant feat of outreach falls flat on its face, we at least have a number of cliches we use to comfort ourselves. Some of that may be true and I am all about comfort in the midst of epic failure. After all, comfort is what gives us the means to get up and try again. But what if our problem isn’t that we aren’t dedicated enough, passionate enough, wealthy enough or smart enough. 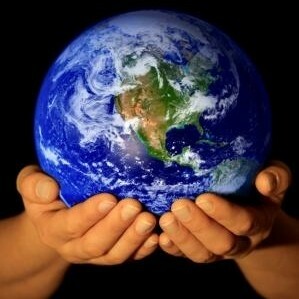 What if our problem is that we just don’t take the time and energy to understand the world we are living in. Over the next week I want to write a bit about what I perceive are “Wile E. Coyote” ministries being run by many churches. My hope in this is not to be overly mean or critical but to think deeply about how we spend our time, money and energy in the hopes that we will become better stewards of our callings. Even more than that, I hope that our mourned failures would turn into seasons of rejoicing as we truly reach the world for Christ.